Laura Hahn is a Senior Instructor/Advisor for the WSU College of Nursing in Yakima. She has many years’ experience teaching clinical courses in community health, acute care and mental health. She has also taught theory courses in Community Health Nursing. Her clinical practice has included nursing in a variety of settings including Public Health, Maternal/Child Health, Home Health and Hospice, Palliative Care, Occupational Health, and Acute Care. She has carried out research in the area of drug adherence with HIV clients, treatment effectiveness of substance abuse in pregnant women, analysis of the First Step Program in Yakima County for the Department of Health, and Environmental Health. 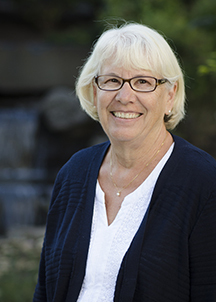 She has assisted the University of Washington on a EPA grant, working on insertion points on pesticides exposure in nursing and medical school curriculum. She is actively involved with International travel and has accompanied health care teams to El Salvador, Peru, and the Dominican Republic. Received the Excellence in Community Service from Delta Chi Chapter-at-Large March 30, 2016. Schwartz, C., Carollo, C., Hahn, L., Brinker, D., Smith, C.. (2019) Interporfessional Student Learning: Perspectives Gained from Outreach in Underserved Communities in the Amazon Region of Peru. Common Ground Research Networks. Publication pending. Eide, P., Hahn, L. Bayne, T., Allen, C., Swain, D., 2006. The Population-Focused Analysis Project for Teaching Community Health. Nursing Education Perspective, 27(1), 22-27. Britten, M., Hahn, L., Ragusa, T., Teaching Rural Nursing to Urban Students. 2001. Teaching/Learning Activities for rural Community Based Nursing Practice. Chapter 5, p 54-71.